For a domestic airline, Alaska Airlines is a bit of an odd duck. It’s the only regional airline that hasn’t disappeared in the past decade of consolidations, and it’s not part of any of the major alliances. However, it functions in many ways like a legacy carrier. All these unusual traits work together, though, to create a great situation for frequent flyers. You can credit miles from flights on major domestic airlines like American and Delta to Alaska, so it’s easy to earn miles even if you rarely have cause to fly the actual airline. And despite not belonging to an alliance, Alaska has a powerful partner network of airlines on which you can book awards, including the luxurious Emirates and Cathay Pacific. 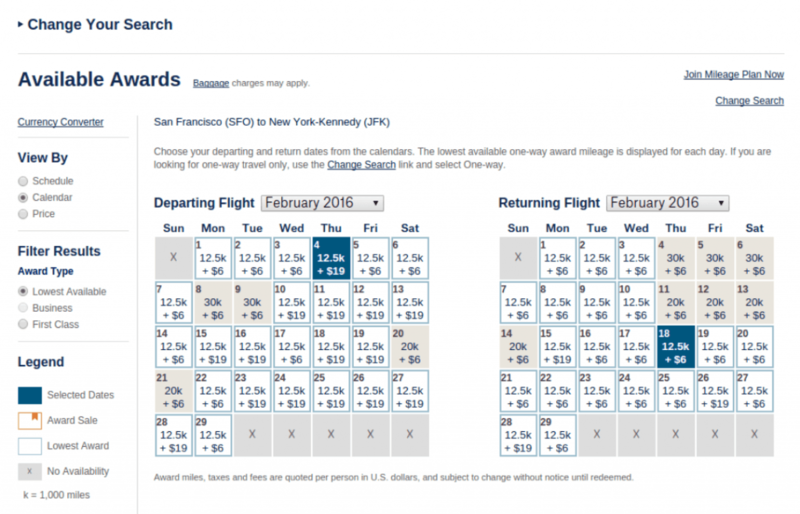 When Should You Use Alaska Airlines Mileage Plan Awards? As is often the case with domestic airlines, the best way to use your miles is rarely on the carrier itself. Redemptions for international flights generally give you better value than domestic tickets. Alaska has plenty of global partner airlines to choose from, including Emirates, which offers onboard showers, personal in-seat minibars, and a lounge space in their ultra-luxurious first class. When traveling with partner airlines, keep in mind that you can only have one partner program per award. Alaska includes some partners with multiple airlines, though, like Flying Blue, the frequent flyer program of Air France and KLM. So you can create an award that includes flights on Alaska, Air France and KLM. Each partner has its own award chart, which could make things tricky. 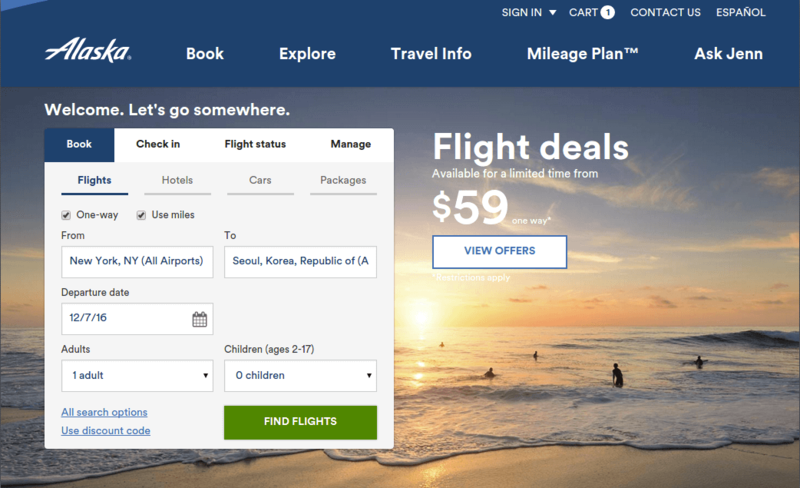 Thankfully, most partner flights can be booked online, making Alaska’s MileagePlan one of the easiest airlines not only to earn with, but also to redeem partner flights with. On the Alaska Airlines homepage, you can search for awards directly from the main flight search form. Make sure you have the book box pulled up, rather than check in, flight status or manage. Check the box for use miles and fill in your airports and dates. Click the multi-city button if you’d like to book an open-jaw or stopovers. Stopovers are generally only permitted in airports that are already part of a natural itinerary, for example, stopping in Hong Kong on a Cathay Pacific itinerary from San Francisco to somewhere in Africa, or stopping in Seattle or London on the way from San Francisco to somewhere in Europe. If you’re trying to book a multi-city trip that includes out of the way airports, book the itinerary as two one ways. That will also give you the option to mix partners. You can also check the box for the award calendar to see an entire month’s worth of award availability and choose the dates with the best fares. The search results do not display all the fare options because there are three different rates for economy: supersaver, saver and refundable. The flight matrix only shows the lowest available rate and the refundable rate. It’s worth comparing different dates to make sure you’re actually getting the lowest redemption rate, not just the lowest available that day. Each flight conveniently shows each partner airline with different colored logos, not text, so it’s easy to skim through the list if you’re trying to book a specific partner. You also have the option to sort by partner through the sort by menu. The bar above the flight options shows you the flights available three days before and after the selected date. You can also click the arrows on the right an left of that bar to go another week in either direction. If you’re planning an international trip on a partner airline, then your domestic flights to your international departure airport have to be on the same partner or Alaska. This means you may have some wonky domestic routing. 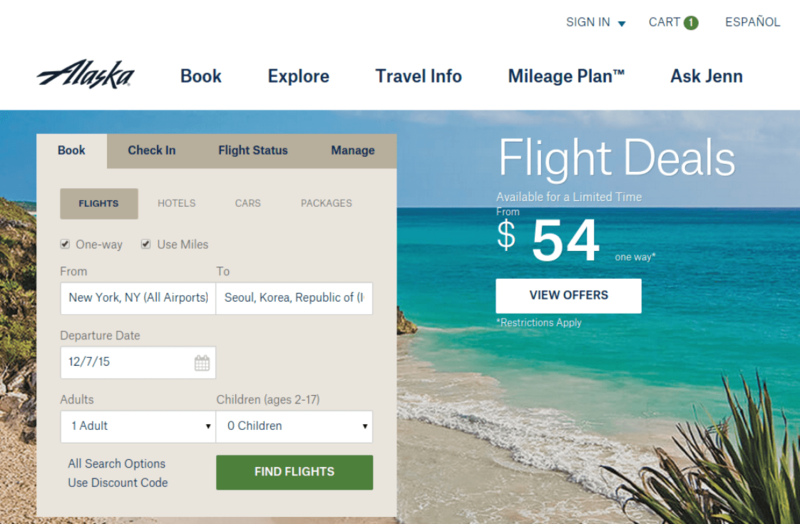 If this is the case, click through to review all of the Alaska Airlines routing options, and decide if it makes more sense to get a cheap cash ticket on another airline to get to your international departure point. Once you’ve found the flights you want, click the blue button add to cart. On the next page, you can confirm your itinerary and the total price of the award. Alaska automatically charges you a fee for booking with partner airlines. 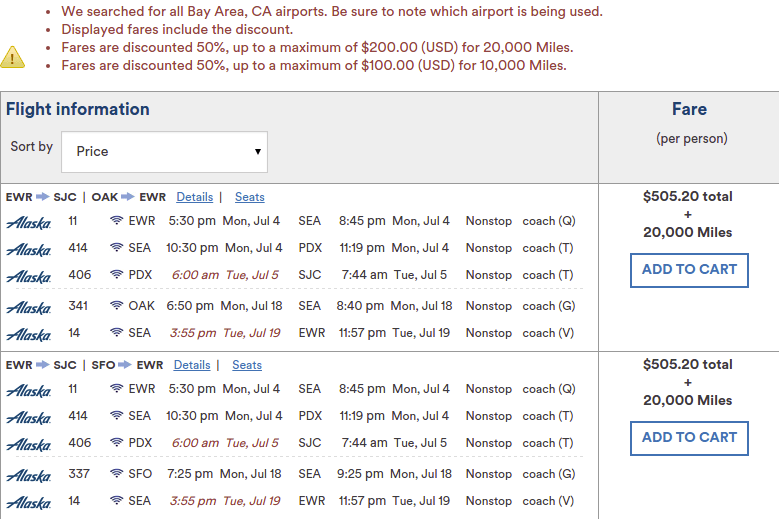 You can change your itinerary to only include Alaska flights, if available, to avoid this. If you prefer a Miles & Money fare, which allows you to save miles spent on the flight and use cash instead while also earning miles, navigate back to the advanced booking window and search for Miles & Money awards. That option pulls up a different and more restricted search results screen, so you may need to reorder the flight options a bit to find the flight you’re looking for. Sign in to your Alaska Mileage Plan account, if you have not already, to proceed to the payment screen. Alaska Airlines is known in the frequent flyer community for its incredibly helpful and accommodating phone agents. While you can ticket most flights online, and don’t often have occasion to call, Alaska’s call center is a rare example where you do not need insider tips to get things done. The agents are so knowledgeable that they’re more likely to give you tips on how to improve your flight, rather than needing to be guided through complex bookings.